Human enterovirus A (HEV-A) is a species in the genus Enterovirus. Viruses belonging to this species are often responsible for hand, foot and mouth disease and associated acute neurological disease. 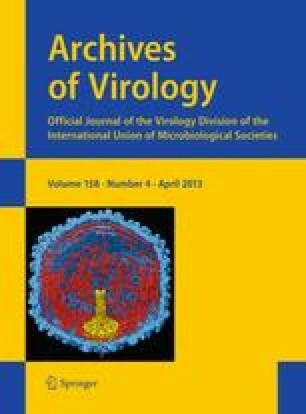 Studies of the 3′ untranslated region (UTR) of human enterovirus 71 (HEV71) revealed a possible role in virus replication. We compared the 3′-UTRs of all members of HEV-A and confirmed the presence of a secondary structure comprising three stem-loop domains (SLDs). SLD-Z is situated closest to the stop codon and has been shown previously to affect plaque morphology. The prototype strains of coxsackieviruses A4 (CVA4), CVA14, and CVA16 carried the longer group I SLD-Z, whilst other CVAs and HEV71 carried the shorter group II SLD-Z. We demonstrate the importance of SLD-Z as a marker for the emergence of newer strains of HEV71 and CVA16 through inter-typic recombination and propose that SLD-Z is a novel evolutionary marker for recombination in HEV-A. The authors would like to thank Professor Peter McMinn of the University of Sydney for past support.